What would you do if you were given the opportunity to become another person - one whose life promised to be more glamorous and prosperous than your own? That was the question posed to Judith Patterson when, at age 33, she met the birth mother who had given her up for adoption as a child and who now revealed to her an extraordinary secret. Patterson, her mother told her, was the illegitimate daughter of a Texas oil mogul, one of the most powerful businessmen in the country in his day. The news sent Patterson on a two-decade search for the truth about her identity - and part of the fortune she believed she was owed. The only problem was that someone else had gotten to it first. Patterson's pursuit of the truth would grow into an obsessive personal quest laced with love, deception, and danger. 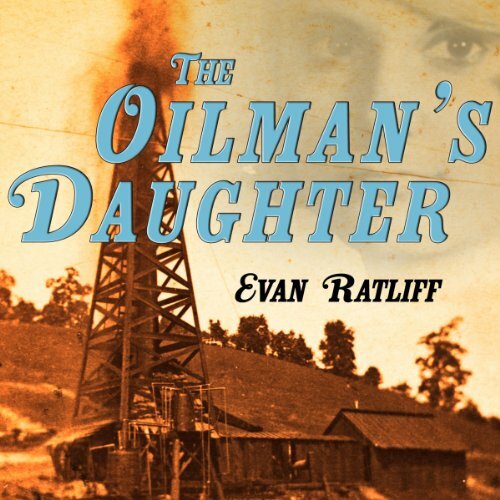 In The Oilman's Daughter, author Evan Ratliff sets out to untangle a family drama that raises questions about the durability of identity, the slipperiness of truth, and the ways that greed can turn even the closest relatives into strangers. Potential for a good story here. What disappointed you about The Oilman's Daughter? It was definitely too short. There was some potential here for a really interesting story but I feel like too much was left out. I think there was more to all this but we never find out what it is really. What does Evan Ratliff bring to the story that you wouldn’t experience if you just read the book? Nothing outstanding but the narrator was good. I've definitely listened to better books with WAY worse narrators.